I’m finally ready to share my running goals for the year. It’s become an annual tradition of mine to write an article about on this topic as soon as the new year starts (see 2017, 2018). But this time, I waited because I needed to reset and think about what running truly means to me at this point of my life. Now, I’m mentally ready to push myself again and solidify my determination to becoming a stronger, faster, tougher athlete. In 2018, I worked on mileage and endurance. I wanted to see how much I could handle. I capped off the year with 1,800 miles, completely injury free. This year, I want to focus on speed and becoming strong from the core. Instead of running five to six days a week, I’d like to trim it down to four and spend two days in the gym building strength. I’m planning on making frequent visits to the track on interval days and pushing the limits of my legs. I might not hit high mileages and I’d opt out of earning race hardware but I’m completely okay trading them in for speed and strength. Last year, to my surprise, I made it up to Corral D after the Popular Brooklyn Half in May 2018. This was much earlier than anticipated so for the remainder of the year, I chased C corral. That didn’t happen yet. But now that I’m solely focused on building speed, I’m determined to move up another corral to further prove to myself that I am making progress. NYRR uses the corral system to seed runners based on pace but to me, I wear my corral lettering as a badge of pride. Although my current personal best time for a half marathon of 1:48 is considered decently impressive, I think of 1:45 as the barrier between someone who runs for personal gratification to someone who runs competitively. 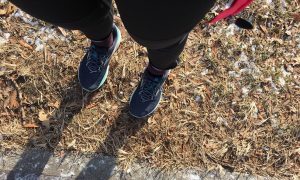 After completing the TCS New York City Marathon 2018 last November, I’ve been taking a training break (though some might argue that maintaining 30 miles every week isn’t really a “break”). As I’m slowly rebuilding, I’m struggling to hit my true half marathon pace for even 2 miles in a regular run so a 1:45 finish feels extremely distant but I need to trust myself! Sometimes in the pursuit of long distance running goals, I get caught up in the training that I forget to rest. 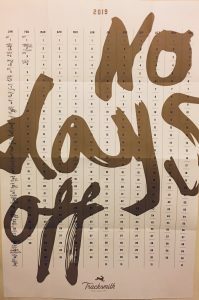 I did rest what I thought was sufficient but when I continued to feel fatigue, there were more days I fought through that instead of respecting my body’s limitations and resting when I need to. This was especially tough during peak week of NYCM 2018 training when I caught a cold right after racing a half-marathon. Not to mention, I also had several interviews that week and ran my longest long run of 24 miles. I’m going to tell myself again that I need to truly respect my body. I want my running journey in 2019 to be about self-discovery, as well as discovering places in my city. I want to discover more about what I’m capable of by training for other distances besides the half and full marathons. 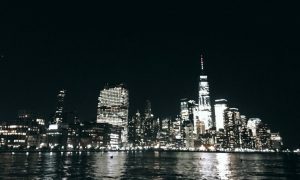 I want to discover and learn new things about the city I live in. I want to discover more about what motivates others to run. And finally, I want to discover (again) the beauty of running. Having spent most of 2018 grinding away, I lost sight of why I love to run. I’d wake up dreading easy runs but I want to reignite my love for the sport. It’s kind of terrifying to say it out loud (or properly put it in writing) but this year, I’m after that sub-6 mile. My personal best mile is 6:30 right now, which was in the middle of marathon training and zero speed work. Racing a sub-6 is quite the ambitious goal and I don’t have enough confidence in myself yet to commit to it. But I need at least one terrifying moonshot goal that I may or may not accomplish and I wouldn’t know what I’m capable of until I try. Running itself isn’t hard – committing to a goal and trying to accomplish that is what makes the sport challenging. I’m set on making Tokyo Marathon 2020 my next target marathon. It lands on my 31st birthday on March 1st in the city I was born in – can’t get any better! I’m excited to challenge the marathon distance on a course that’s not in New York. I’m not sure if I like racing the 26.2-mile distance, at least not yet. I love the mile, the 5K, and the half marathon distances the most. But getting the opportunity to cover the distance on a different course will be a great test of whether I could develop a love for racing 26.2. Plus, I’ll be in Tokyo where the food and culture are impeccable enough to make the entire experience exhilarating! I’ve come to learn that progress in running isn’t always a perfect XY correlation between time and effort. I’ve also learned from getting back into dedicated training that it’s okay to have various goals throughout my running career. I don’t always have to work towards a marathon to prove my worth as a runner – training for a fast mile is just as worthy. It’s okay to run slowly on most days and have fun, rather than constantly push my body to exhaustion. Running in 2019 is going back to the fundamentals: building a strong base so I can be the athlete that I have the potential to become in the years to come.